Local teen, Abby Magill is a frequent customer at Fill My Cup, a coffee shop and bakery located on Main Street in Baldwyn. Abby was inspired with a great idea for the coffee shop while she was attending a youth camp. 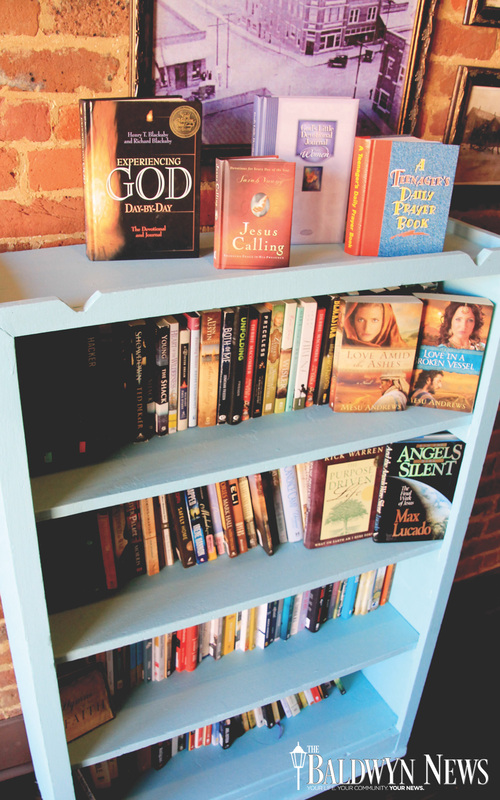 As a lover of coffee and books, Abby decided Fill My Cup needed a Christian book area for customers to enjoy. Abby enlisted some helpers, Steve and Shasta Hollins along with Maria Tucci-Hughes to bring her inspiration to fruitation. 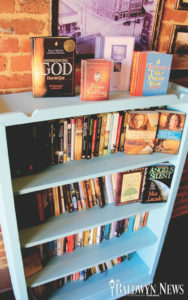 There is now a bookshelf with four shelves full of Christian fiction and non-fiction books for customers to choose from. While having a hot cup of the many delightful flavors of tea or coffee FMC has to offer, patrons can choose a favorite book to read. FMC offers live music many nights during the week and occasionally during lunch hours. Not only are bakery goods, coffees and teas offered but soups, sandwiches and salad are available. FMC is located at 101 East Main Street.